Join us at Chipotle Mexican Grill, Corvallis for a fundraiser on Monday, April 29th from 4:00-8:00p! 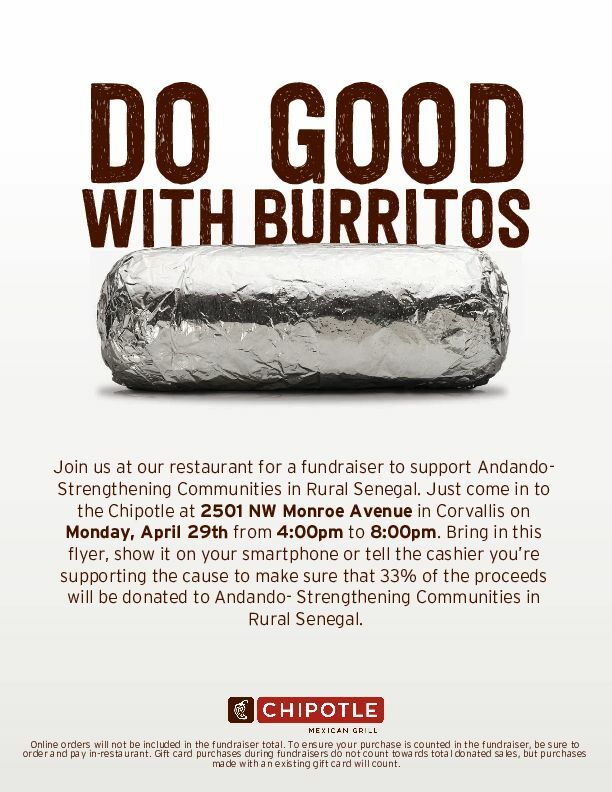 Bring in this flyer, show it on your smartphone or tell the cashier you’re supporting the cause to make sure that 33% of the proceeds will be donated to Andando. Online orders will not be included in the fundraiser total. To ensure your purchase is counted in the fundraiser, be sure to order and pay in-restaurant.